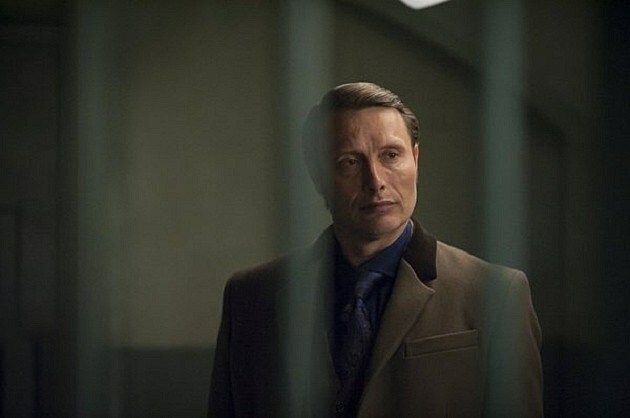 We thought we'd sufficiently fed our fear when NBC announced that Bryan Fuller's drearily dreamy 'Hannibal' would return for a second season, but it seems the real feast has yet to begin. The first photos of June 20 finale episode "Savoureux" have made their way online, and from the looks of things, a big secret will land on the table before the hour is out! 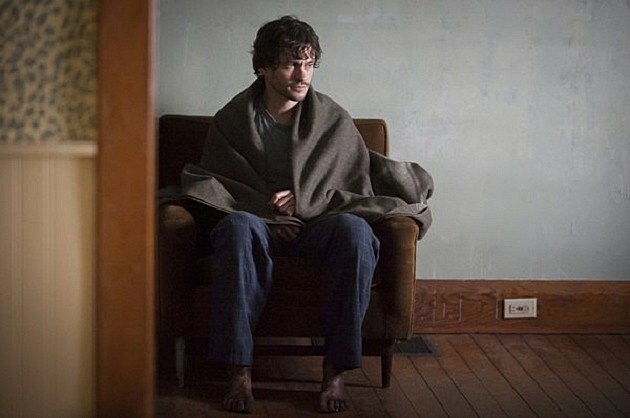 Spoilers beware, but it looks like Will Graham will have much larger problems than his recent blackouts by the time of 'Hannibal''s first season finale. In addition to the recent release of the guest star-heavy photos from intermediary episodes “Rôti” and “Relevés,” the peacock has graced us with some seriously spoiler-filled photos from the June 20 closer! 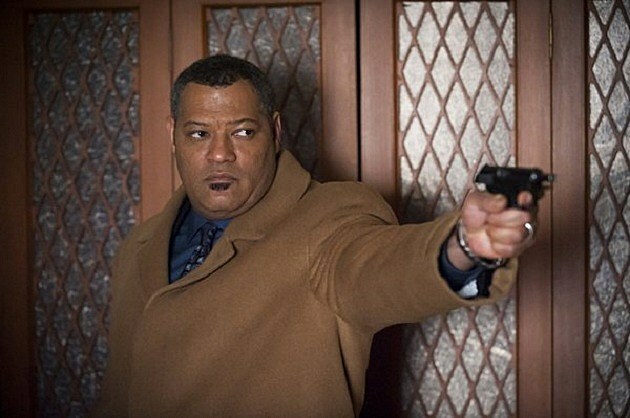 While it's hard to know exactly what we're seeing out of context, the newest photos from 'Hannibal''s "Savoureux" appear to highlight both Jack Crawford (Laurence Fishburne) and Will Graham (Hugh Dancy) with their guns trained on Hannibal himself, while later the good doctor (Mads Mikkelsen) pays a visit to Will...inside a prison cell! Could the famed relationship, destined to end up separated by a layer of glass have its roles reversed in the beginning? 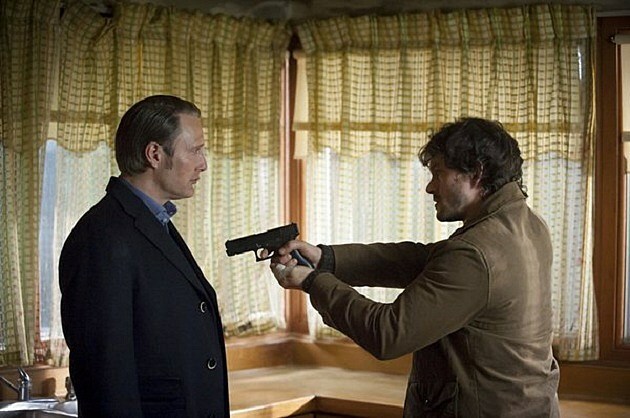 Has Hannibal's true nature been exposed? 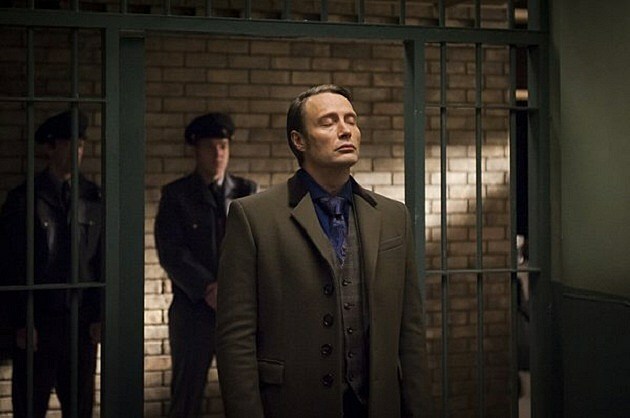 We're anxiously awaiting the final three episodes of 'Hannibal' season 1, but in the meantime, check out the photos from the "Savoureux" finale, and give us your theories for the last episodes in the comments! 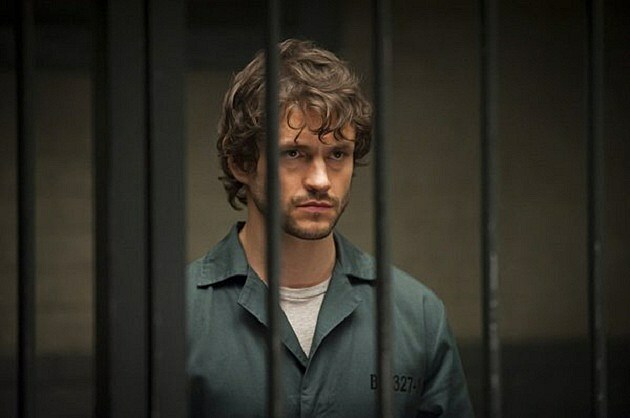 Source: ‘Hannibal’ Season Finale Spoiler Photos: Who Will End Up Behind Bars?